Ayurveda is all about self care. In order to implement lasting changes we need to educate ourselves! 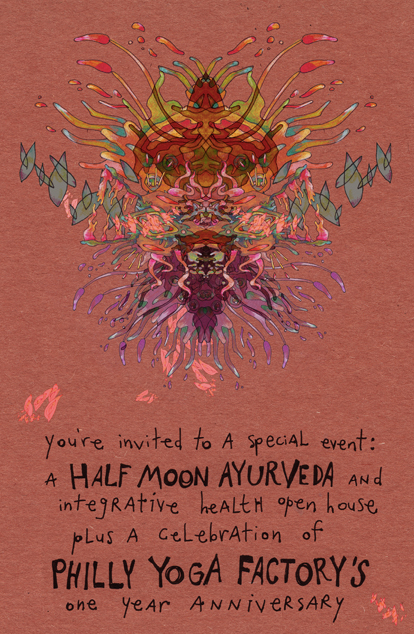 Join Half Moon Ayurveda practitioners Mary Rider and Katelynn Ingersoll for a series of educational workshops to kickstart your self healing process. These workshops will be held at our clinic located at 1520 Sansom Street, on 4th floor of the Hot Yoga Philadelphia studio. In this workshop we’ll learn simple, effective Ayurvedic techniques you can incorporate into your daily routine to restore energy, inner peace and overall well being. Learn how to nourish the five senses through ancient practices like self massage and the use of herbalized oils. Theses time tested Ayurvedic therapies help us age gracefully and offer tools to stay calm through the storm of our daily lives. In this workshop, we’ll learn how to utilize the 108 Vital Energy Centers, known as Marma Points. Similar to acupressure, these points provide access your inner pharmacology and stimulate deep healing. We’ll discover uses and indications of these points so you can use them for healing of specific ailments. Discover simple, therapeutic touch as a healing method. Both workshops are hands on, full sensory experiences and space is limited. 25 dollar investment per workshop, 40 dollars for both. Enroll before March 1st for a 10% early bird discount. Tired of the “what do I eat to feel good” dilemma??? 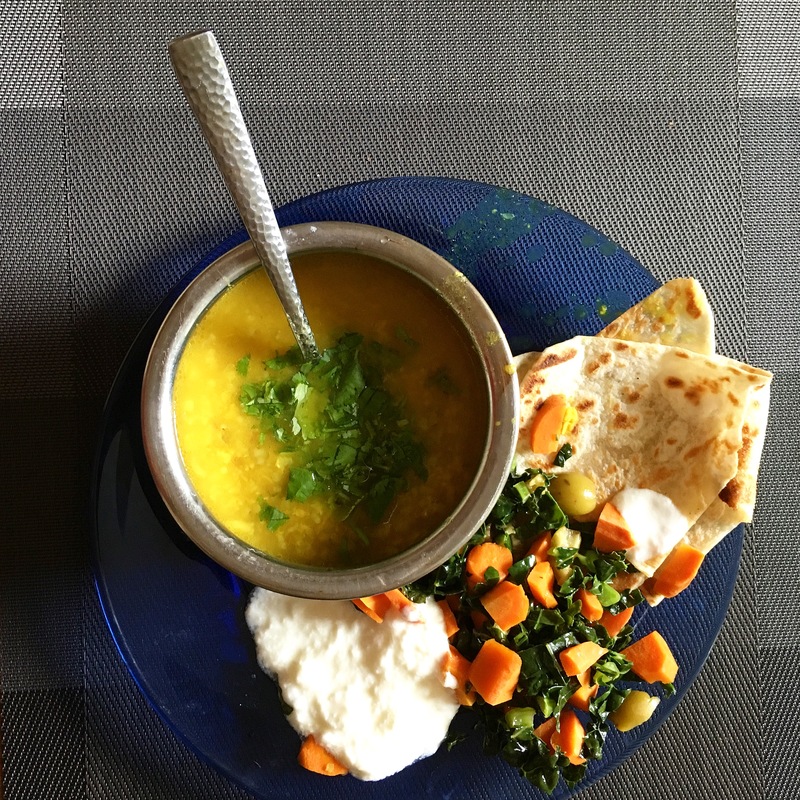 On Saturday, May 12th from 1-3pm Katelynn will open her home kitchen for a very special afternoon Ayurvedic cooking class. In this intimate session, we’ll prepare (and of course eat!) a palete pleasing medicinal meal appropriate for the spring season. You’ll leave with practical, easy food prep tips and techniques to get you started on a path to healthy eating. Our Seasonal Ayurvedic Cleanse is available now! We offer a fully guided or independent program options. Both options contain supplies, herbs, and ingredients for your week of cleansing. Email katelynn@bikramphilly.com if you have questions. Click here for pricing options. Acupuncture in a communal at Bikram Philadelphia setting coming in October! 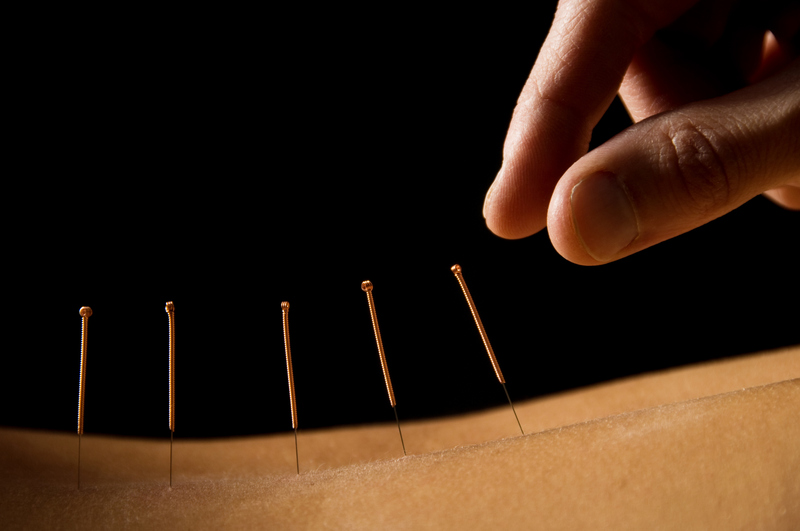 Did you know that acupuncture was illegal in the 1970’s??? That’s around the time when Miriam Lee, a senior acupuncturist and apparent outlaw developed a sequence designed for universal healing. You can imagine, at a time when integrative medicine was illegal, conventional medicine was failing….Miriam’s work was in high demand and she needed efficient methods to work with the high volume of patients. It was, in fact, her patients that stormed a California courthouse after her arrest, beginning the journey of complimentary and alternative medicine as a respected and EFFECTIVE practice widely used today. Talk about radical medicine. Miriam probably had no idea that her work would pave the way for acupuncturists like our very own in house Dan Tague to work on several patients at one time. We at Half Moon Ayurveda and Integrative Health strive to make well being through complimentary medicine accessible and affordable to all. We’re committed. Acupuncture in this type of setting involves 4-8 patients at a time receiving treatment in one space. It’s perfect if you’re curious about acupuncture! We hope to see you there! You’re invited to a very special event that will give us the opportunity to share with you the gift of yoga and integrative health. This event is free and open to all. Please feel free to bring friends and family. We are looking forward to sharing these gifts of yoga and integrative healing with you.